Mutual of Omaha began doing business as the Mutual Benefit Health and Accident Association in 1909, and today holds a place on the Fortune 500 list of mutual insurance companies and providers of financial services. By 1920, the company had developed a solid customer base, securing $1 million in income from premiums. By 1924 it ranked at number 8 on the list of largest insurance companies and continued to broaden its service offerings, adding life insurance products in 1926. By 1962, the company decided it was time for a new name and changed to Mutual of Omaha Insurance Company.Fast-forward to 2007, when Mutual of Omaha created Omaha Financial Holdings, Inc. to oversee its new banking initiatives. Mutual of Omaha has a financial strength that comes from over 100 years of doing good business with its customers. The company has an “A+” rating from Standard and Poor’s and A.M. Best rating services. The company’s ratings have been affected slightly by sales of Plan N Medicare supplements that received more claims than projected, with pricing that did not adequately compensate for the claims. 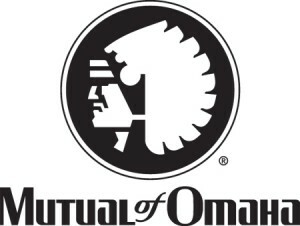 Mutual of Omaha has halted Plan N sales and is making changes to help mitigate the financial effects of the experience. The company is also addressing the earnings impact by cutting expenses in other areas. Mutual of Omaha remains a resilient, financially strong insurance company with well over $2 billion of surplus funds. Mutual of Omaha also provides several group benefit solutions including life, disability and dental insurance, an employee assistance program and retirement services and products, including group annuities. Many people of a certain generation may think of Mutual of Omaha’s Wild Kingdom and Marlin Perkins whenever they hear Mutual of Omaha’s name. The company introduced the family-oriented television program about wildlife, named “Mutual of Omaha’s Wild Kingdom,” and the show aired for 25 years, from 1963 to 1988. Mutual of Omaha revived the show in 2002, with a new series broadcast on the Animal Planet cable television channel. The company realized that many who grew up with the program still recognized its association with the company. The company was founded with one principle in mind – to give its customers financial security and assistance in trying times. Mutual of Omaha has achieved this through their product offerings, and also through contributing to the community. The company founded the HALO club in 1948, to assist families and individuals in Omaha and surrounding areas, through energy bill assistance, aid to victims of fire and floods, aid to families who have difficulty covering their rent or mortgage payments, and financial help for families who cannot afford a funeral for their loved ones. Additionally, during the holidays more than 300 food baskets are donated to needy families for Thanksgiving. Mutual of Omaha employees also participate in the National Month of Caring, and more than 1,500 agents and employees volunteered in almost 50 different local communities for over 6,000 hours. Projects involved help with sorting donated items at various nonprofit centers, and participating in landscaping and construction projects. Mutual of Omaha acts as USA Swimming’s official sponsor. It also holds one-day swim clinic events that tour across the nation, along with former Olympic swimmers serving as guest speakers. Additionally, Mutual of Omaha sponsors several professional PGA and LPGA golfers. The company is also developing an urban mixed-use housing development, Midtown Crossing at Turner Park, east of its Omaha headquarters campus. The development brings award-winning, eco-friendly homes to Omaha and adds a park, jazz events, an outdoor market and an art gallery with a working studio. Mutual of Omaha has an ad campaign that plays off of a cartoon moment, when the character gets a great idea – and a light bulb appears over his head. The company’s new ad campaign focuses on this “sudden insight” experience in its new branding initiative, becoming the “Official Sponsor of the Aha Moment.” The advertisements are aimed at baby-boomers, featuring real people who have encountered real life challenges, who then gained personal insight and decided to choose a path leading to personal authenticity. The goal of the ad campaign is to provide a contemporary message that encourages consumers to reflect on the benefits of growing and learning as they age. The company used to be accused of doing some sneaky advertising back in the days of Merlin Olson and the Wild Kingdom show. As Perkins hosted the show, he would inevitably say something about how animals protect their young, and so can viewers with insurance from Mutual of Omaha. Life insurance comes in a few different varieties: term, whole life, and return-of-premium. Each of these has its own sub-variations and when shopping for life insurance, it is important to do a bit of homework first to understand which type of coverage makes the most sense for your situation. Insurance sales people may be a bit aggressive with their sales techniques, and arming yourself with information is the easiest way to bypass that and get the policy that makes the most sense. Shopping around online before buying is one of the easiest and fastest ways to get familiar with the types of life insurance that exist, the options that make sense for you and your family, and price quotes to see how much you can afford. Start a Life Insurance Comparison search for Compare Life Insurance Quotes Today!